MedMen began trading on the Canadian Securities Exchange under the ticker symbol "MMEN," becoming the largest publicly traded cannabis company in the United States. "Part of the excitement of us going public is for the first time ever people from around the world can own a piece of the largest U.S. weed company in the fastest growing industry, and share in the success," said MedMen Co-Founder and CEO Adam Bierman to Lisa Kennedy onFox Business. The Los Angeles Times describes MedMen as the " most valuable public cannabis company." The company's move to list on the CSE will prove to be a watershed moment for the industry and it "illustrates how quickly cannabis is entering the mainstream," says the Times. Bloomberg reports that MedMen's transition into America's largest publicly trading cannabis company " is among the largest deals for marijuana in Canada," and it signifies the industry's shift northward for capital. Bierman appeared on CNN, Bloomberg TV and other networks to discuss the untapped potential of the marijuana market. 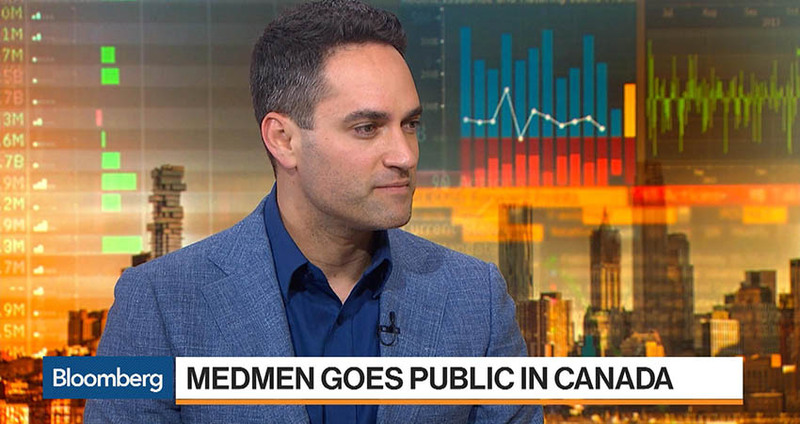 Watch MedMen CEO Adam Bierman on Bloomberg TV. "With everything we've done in the past eight-and-a-half years, we have been taking advantage of the opportunities that present themselves to us," explained Bierman. "Why can't marijuana be a substitute for alcohol? Why can't we have marijuana be the exit to our opioid crisis? There's just so much potential with legal cannabis that is still untapped."